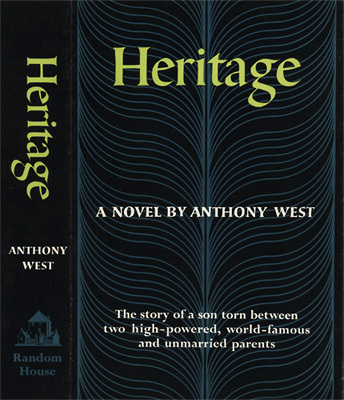 West, Anthony. Heritage. New York: Random House, . 309 p., 21 cm. Dust jacket design.